Appalachian Trail: A Trail Pocket Profile AT-01 covering 95 miles. A convenient pocket size elevation profile and topo map for all 95 miles included in this segment. This is the Southerner terminus of the AT, the first for a northbound hiker. 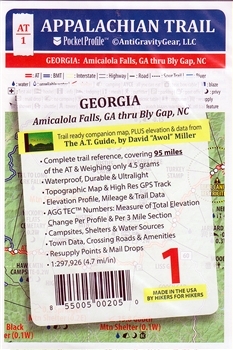 Complete trail reference, covering 95 miles.